When registering please make your forum name the same as your game name, or something very similar. It will make everyone's lives much easier in the long run since we'll know who you are when you post. Please read the below rules and submit an application by starting a new topic titled "Yourname application"
There is only really one main rule. Be respectful of others. There will almost always be an event on Friday's around 8pm eastern hosted by Xaosan and Inea. Attendance is not mandatory, but appreciated. Event based lotting rules will be mentioned prior to an event's occurrence. 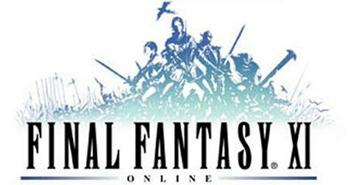 The rules themselves are geared toward fairness as best as FFXI's system allows. Should you have any questions about being eligible for an event feel free to ask, preferably ahead of time (so we can make you eligible in time for said event). Additionally, all new applicants are on a 30 day trial period, to see how you mesh with the rest of the shell. If things aren't working out by the end of the 30 days, we may need to part ways. Well this seems all in order. I like the pre-post of events and would like to mention that posting early in the week would be nice for those of us who wear many hats in this life:) Of course I automatically registered with an internet name I use everywhere but will say Game Name is Coraphine.